Betul Gundogdu, M.D., has joined the Department of Neurology as a neurologist specializing in neuromuscular disorders. Feb. 20, 2018 | Feb. 20, 2018 | Betul Gundogdu, M.D., has joined the University of Arkansas for Medical Sciences (UAMS) as a neurologist specializing in neuromuscular disorders. She sees patients in the Jackson T. Stephens Spine & Neurosciences Institute’s Neurology Clinic. She provides electromyography, which measures nerve and muscle function using electrical activity and is used in diagnosing a range of conditions, including amyotrophic lateral sclerosis (ALS, also known as Lou Gehrig’s disease), myasthenia gravis and muscular dystrophy. Neuromuscular specialists treat disorders that affect the peripheral nerves and muscles. Additional examples include peripheral neuropathies, Guillain Barre Syndrome, chronic inflammatory demyelinating neuropathy and myopathies. Gundogdu also is an associate professor in the UAMS College of Medicine’s Department of Neurology. “Dr. Gundogdu is an excellent teacher and physician and we are glad – for the benefit of our residents and patients alike – that she is joining our growing neurology team. 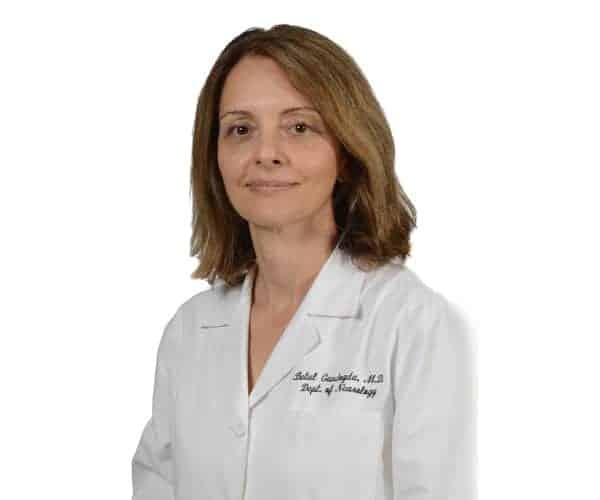 Her extensive training at the fellowship level indicates a level of expertise that speaks for itself,” said Robert L. “Lee” Archer, M.D., professor and chairman of the Department of Neurology. Gundogdu received her medical degree from Istanbul University Capa School of Medicine in Istanbul, Turkey, and completed her neurology residency in at the University of Chicago Hospitals in Chicago. She completed a fellowship in Electromyography/Clinical Neurophysiology from the University of Chicago Hospitals. She had further training in Neuromuscular Diseases/Muscle and Nerve Pathology at Mayo Clinic in Rochester, Minnesota, as well as Baylor College of Medicine in Houston, Texas. Gundogdu has been regularly presented with the Best Doctors in Arkansas award from Best Doctors in America Inc. since 2011. In 2014 she was given the electromyography teaching award from graduating residents. Gundogdu holds certifications in American Board of Neurology and Psychiatry, American Board of Electrodiagnostic Medicine as well as Certification by UCNS for Neuromuscular Pathology.